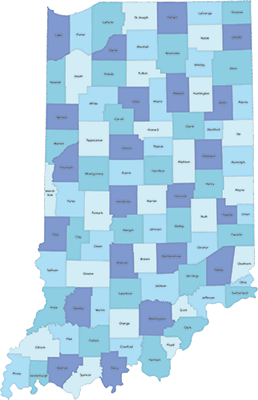 We hope this site will be a useful resource to you as you seek information about the Indiana Counties Treasurers' Association (ICTA) and the services provided by your County Treasurer. On this site you will find information about the leadership and committees of the association as well as a complete listing of the 92 County Treasurers. This site is also intended to be a valuable resource for County Treasurers across the state, providing information about training opportunities, legislation, commonly used terms, code sites, or participation in forums.